If you aren’t already using a cross-selling strategy for your online shop, you should know you are losing money. Cross-selling and upselling are one of the best ways to increase your average order value, and one of the most important metrics for your shop. You have no idea about what we are talking about? You know the theory, but perhaps you don’t know how to put it into practice? If that’s the case, keep reading because today we will give you all the secrets about cross-selling. 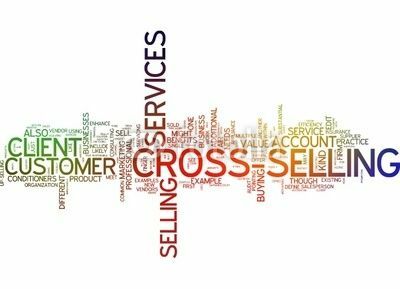 Cross-selling consists of offering distinct complementary products to your clients. These are the products that optimize or improve the original product by adding new functionalities. For example, think about the phone case or the insurance that they always try to sell you whenever you buy an electronic device. But it is not just about offering everything you can think about. The key for this system is to add value to the user by showing them that you truly know what they need. As any other marketing action , behind cross-selling there must be both planning and a strategy. They are similar, but not the same. These two concepts are normally mixed up. However, it is important to clearly distinguish them. Cross-selling, as we have already seen, encourages clients to buy other related products that complement their purchase. However, upselling tries to make the client buy a different, more expensive version of the same product. They are different strategies with a same goal—to increase the average checkout price. With cross-selling we achieve that goal by adding other products while with upselling, we sell a more expensive, and therefore more profitable, product. Let’s see that with an example: when the salesman in a car dealership tries to convince clients to buy a model with more extra features, he is using the upselling technique. If, once the client has bought the car, he also offers insurance or a roof rack, that is cross-selling. Cross-selling: final product + added product. In both cases we increase the average checkout price, but in different ways. More sales: this is the main one and the reason why you are reading this article. But be careful, it is not the sales increase, but rather that each client buys more products with each order. Optimized costs: the management of just one order with several products will always be cheaper than administering different orders with just one product. Greater client loyalty: by foreseeing the user’s needs you will make him feel more satisfied, since you are adding more value. This will result in a more loyalty to your brand . You get to know your audience better: with each sale you will be able to analyze how your clients behave and that will allow you to have a finer and more effective strategy, which will also result in more sales. Selling “unknown” products: this is the perfect situation to show all those products that you have, but that may be less popular. Better user experience: by offering other products, you are helping the user to interact more with your website. The SEO is reinforced since you reduce your bound rate . Now that you know what you can achieve, let’s see how to do it. But before that, let’s see a concept that will help you understand everything. Cross-selling and consumer surplus—how are they related? There is a well-known price fixing strategy called “skimming” that tries to get the highest possible amount of money from each client. It is about fixing high prices at the beginning so that those clients willing to pay more for the exclusivity can pay more. That means that when the product has been on the market for a while, the price decreases so that new clients, those who didn’t buy it at the initial price, can now have access to it. Another important concept is consumer surplus. This is the difference between the quantity that a person is willing to pay for a product or service and the price that they actually pay for it. If we combine these two concepts, we will see that cross-selling can help minimize the consumer surplus on products for which a skimming strategy is not possible. That is to say, for those clients who haven’t paid the full amount that they were willing to spend, we offer them a possibility to spend the difference via cross-selling. To sum up, cross-selling is basically about increasing the average checkout price by decreasing the consumer surplus. We try to make clients spend all the money they are willing to spend. We don’t know if they will end up spending it or not, but at least we offer them the opportunity. That is what McDonald’s does, for example. With every order, they offer you fries, nuggets, or any other side they are promoting. Plus, they always offer upselling by offering the biggest size of every product. Without much effort at all, you can recall many times when you have been part of these types of sales. And if you keep thinking, you will realize that every time, when they offered you those extra products, they told you about the different benefits that you would get. A common selling mistake is listing the products that add functionalities to the first one. On the contrary, what really works is making clients think about the extra benefits they could get. The key is to make them visualize the extra benefits they would enjoy, not to show them a catalogue of products. How can we apply this to an e-commerce shop? No matter what cross-selling strategy you use, the secret to success lies with two variables: your products stock and the type of clients. As we said at the beginning, it is not about offering just to offer, but foreseeing the client’s needs. According to your catalogue and your target audience’s behavior, you have to relate your products in a way that you offer the user a real advantage. This would be manual cross-selling. A few days after the user buys a product, you send him or her a newsletter offering products that complement or improve the first one he or she bought. If your client bought a laptop, within a week you can send him an email offering cases, mouses, or any other accessory. Think about whether the product is going to need replacement parts or inspections or not. If you remind clients about it, they will probably buy them from you. These emails can be set up to be sent automatically on the days or weeks that you decide. You already know that the more you personalize the offer, the better, but that also requires more work on your side. This is automatic cross-selling. The web shows some products depending on what the person is looking for and his or her preferences. The more you personalize the offer, the more effective your strategy is. One example would be a person who bought a recipe book. If after a week the websites recorded the same person looking for a blender, a good product to offer would be a specific recipe book about shakes. Your browsing history: what categories and products you have visited before. Your wish list: if you saved something there, they will follow you until you end up buying it. Notice that a static Amazon homepage itself does not really exist since most of the content is dynamic. Each user sees different recommendations. The product files are more or less the same—they show a bit of information and before you get to other clients’ reviews, you have cross-selling. Once again, they play the personalization game, always trying to make you imagine the benefits you would get if you added those extra options to your shopping cart. This is another automatism. The website itself shows what other users bought alongside this article, depending on the product you are looking for. Social proof is a key factor for online shops. As social beings, we seek our peers’ approval. This strategy is based on that ancestral hypothesis. If users can see that other people bought the same product, they will feel their decision is validated. They will also understand that if two products were bought together, “there must be a reason”, and it is likely that they repeat the same pattern. Another way of presenting related products is with a “usually bought together” function, although the idea is similar. The “other clients bought” option combined with good reviews is a selling machine. Examples of this complementary selling are batteries or bulbs. Products that the client needs to buy for the main product to work. It may seem like a minor sale, but most of the time the margins on these extra minor products are very attractive. As we already mentioned, think about if they will need another related product after a few months—batteries, spare parts, or inspections. In addition to selling them something else, you are offering an excellent service that clients will thank you for. Everything counts towards the next purchase! This type of cross-selling works really well with products that require an installation . For many people, it is a real pain to have to program or set a device up and they won’t hesitate to pay for it if they were given the opportunity. A good example for this case would be televisions and channel programming, or, closer to our e-commerce world, setting up a plugin or a PrestaShop module. You can buy the plugin for just €30, but in order to make it easier for you, you can also have it installed in your shop. Look at the prices in both cases—there is a €100 difference. The second one will mean more work than just a download, but both the average checkout price and the profit margin will increase substantially. This is a perfect example of cross-selling. I have a friend that hates going shopping. The few times that he actually does, he becomes the perfect client that every shop assistant would love to have: he lets them recommend him things, he doesn’t doubt, and he admits his lack of fashion knowledge. The “take the whole outfit” strategy works perfectly on him. If he sees a shirt that he likes, the shop assistant will show him matching trousers and a scarf—and he will buy it all. The only reason he leaves the mannequin is that it’s not for sale! This system is really popular amongst online clothes shops or decoration. The product is shown with other products in order to create your desire to have the whole design or look . In order to take advantage of this type of behavior, always show pictures with the whole outfit on your product cards and then show the related products in the shopping cart as cross-selling. More than one client will want to look like the model and will buy the whole set. When should we show the cross-selling offer? As with everything else, that depends on different people and different behaviors—there is no single theory that works for everyone. However, let’s see what the benefits are of offering it at different moments during the process, and then we’ll classify the examples that we just explained. In the shopping cart: this is the most common time. When clients are about to complete the purchase we offer them related products that will improve their user experience. The indispensable extras or an added service: things that they would rarely buy on their own. On the thank you page: if we don’t want to distract them during the buying process, it is better to wait until the transaction is completed. The thank you page is a page that most people misuse when we actually have the client’s attention, their trust, and when they still have their credit card within reach. We have seen successful cases of selling a product just by mentioning it. It is a great moment to remind them about important products, such as batteries. Email marketing: since we already have the client’s email address and we know what they have bought, we can send them an email with offers about related products. We can take advantage of the follow-up email in order to try again. You can read more about email marking strategies here. Retargeting: the last chance of getting clients with cross-selling is through advertisements. By using the database of people who buy a product and thanks to segmentation, we can use Facebook Ads or any other platform to show them ads with related products. The final decision about which way is the best one is yours to make. If you have a high abandoned shopping cart rate, try to avoid distractions. However, you could also try out showing and not showing cross-selling products to test it out. Each situation is different—test out new places and strategies. Each sector has its own characteristics, but if you have a good plan and you know your ideal client, you will surely end up increasing your average checkout price thanks to cross-selling. Are you already making money with cross-selling? Use those impulses, those extra needs, by giving clients the opportunity to spend a bit more in your e-commerce shop. Think about what you can match with each purchase: there is always a combo that increases the value of each product that would be bought individually.